Queuing is one of the very important criteria for assessing the performance and efficiency of any service industry, including healthcare. Data Envelopment Analysis (DEA) is one of the most widely-used techniques for performance measurement in healthcare. However, no queue management application has been reported in the health-related DEA literature. Most of the studies regarding patient flow systems had the objective of improving an already existing Appointment System. The current study presents a novel application of DEA for assessing the queuing process at an Outpatients’ department of a large public hospital in a developing country where appointment systems do not exist. The main aim of the current study is to demonstrate the usefulness of DEA modelling in the evaluation of a queue system. The patient flow pathway considered for this study consists of two stages; consultation with a doctor and pharmacy. The DEA results indicated that waiting times and other related queuing variables included need considerable minimisation at both stages. 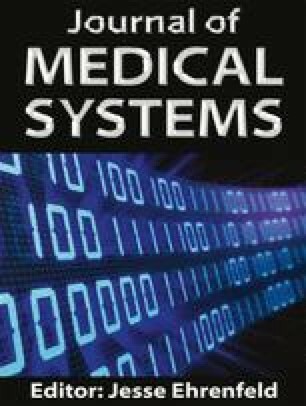 The authors would like to thank the editor of Journal of Medical Systems, Professor Jesse M Ehrenfeld, and three reviewers for their insightful comments and suggestions. Manzi, A, Magge H, Hedt-Gauthier, B.L., Michaelis, A.P., Cyamatare, F.R., Nyirazinyoye, L, Hirschhorn, L.R. and Ntaganira, J., Clinical mentorship to improve pediatric quality of care at the health centers of rural rwanda: A qualitative study of perceptions and acceptability of health workers. BMC Health Serv. Res. 14(275), 2014. Available at: http://www.biomedcentral.com/1472-6963/14/275 [Accessed: 27 Sept 2015]. Fomundam, S., and Hermann, J.W., A survey of queuing theory applications in healthcare, Digital Repository at the University of Maryland, 2007. Available at: http://hdl.handle.net/1903/7222. [Accessed: 19 July 2013]. Jehu-Appiah, C., Sekidde, S., Adjuik, M., Akazili, J., Almeida, S.D., Nyonator, F., Baltussen, R., Asbu, E.Z. and Kirigia, J.M., Ownership and technical efficiency of hospitals: Evidence from Ghana using data envelopment analysis. Cost Effect. Res. Allocation, 12:9, 2015. Available at: http://www.resource-allocation.com/content/12/1/9 [Accessed: 8 June 2015]. Sorup, C.M., Estay, D.S., Jacobsen, P. and Anderson, P.D., Balancing patient flow and returning patients: A system dynamics study on emergency department crowding factors. Healthc. Manag. Sci. 2015. Available at: http://orbit.dtu.dk/ws/files/108550877/Balancing_patient.pdf [Accessed: 8 June 2015].